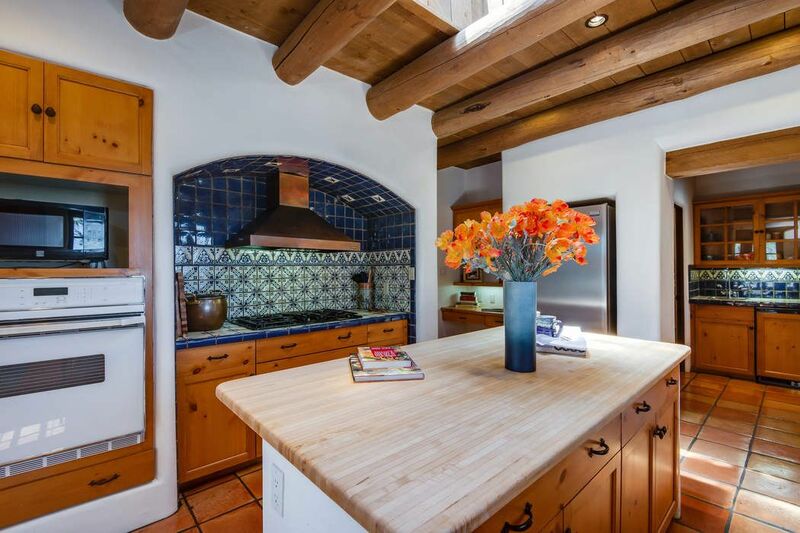 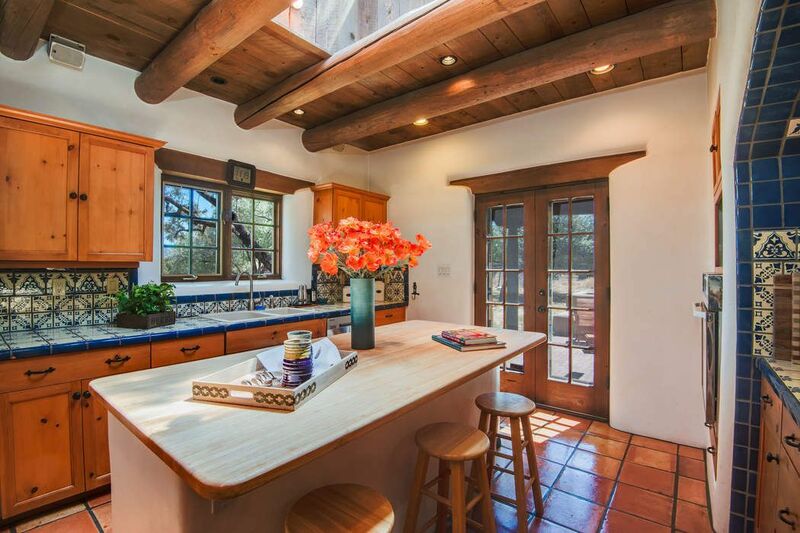 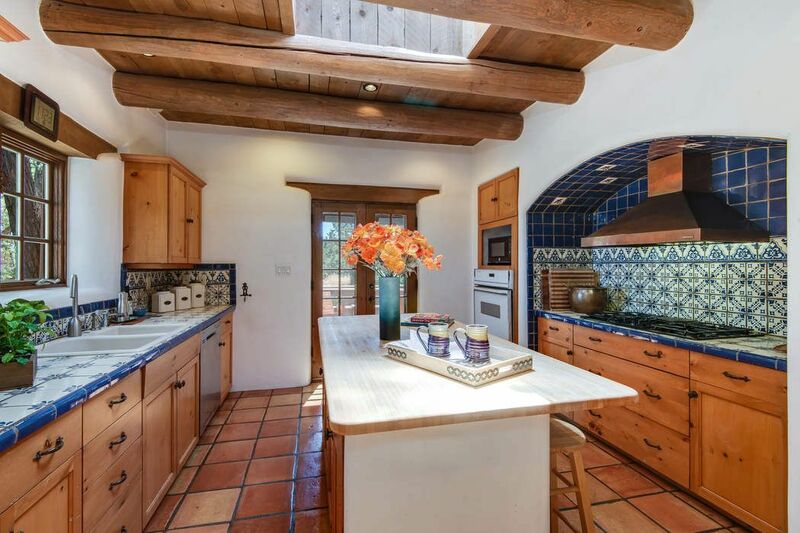 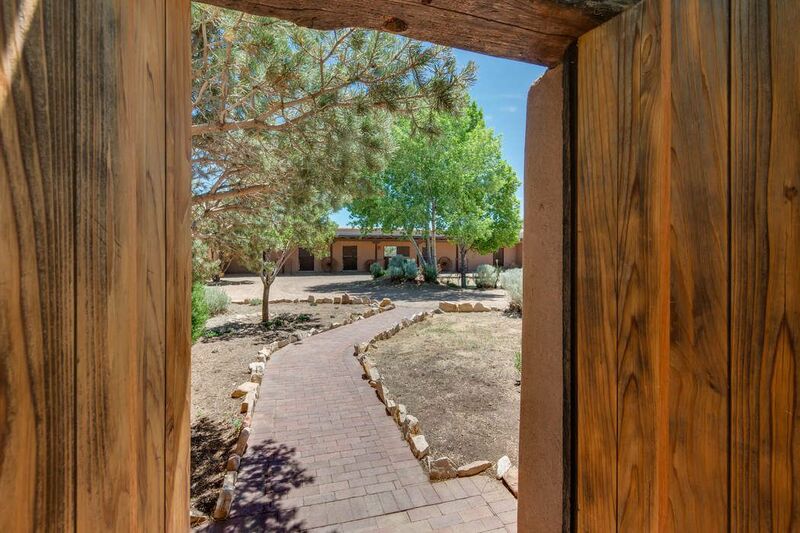 71 Jacinto Rd , Santa Fe, NM 87508 | Sotheby's International Realty, Inc.
$875,000 3 Bedrooms3 Full Baths3,800 sq. 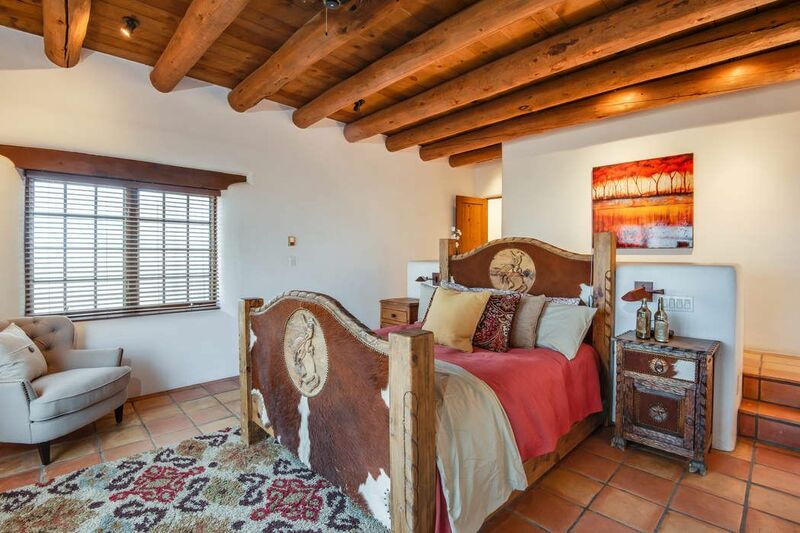 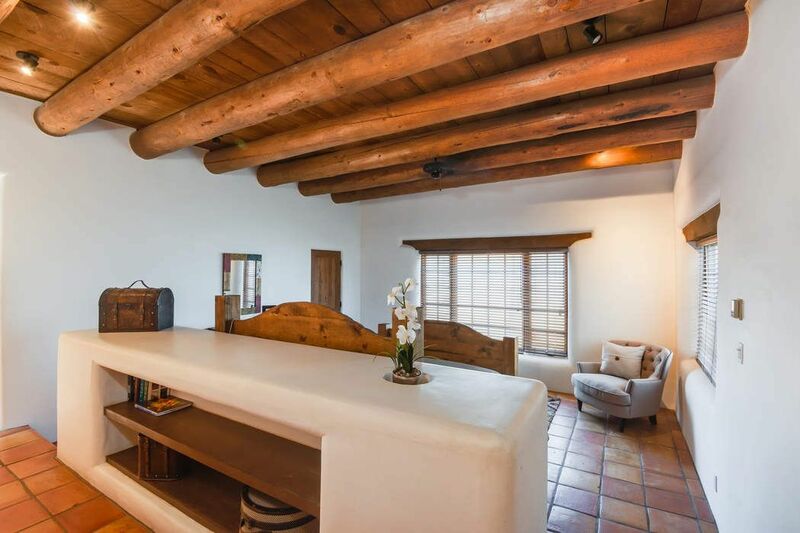 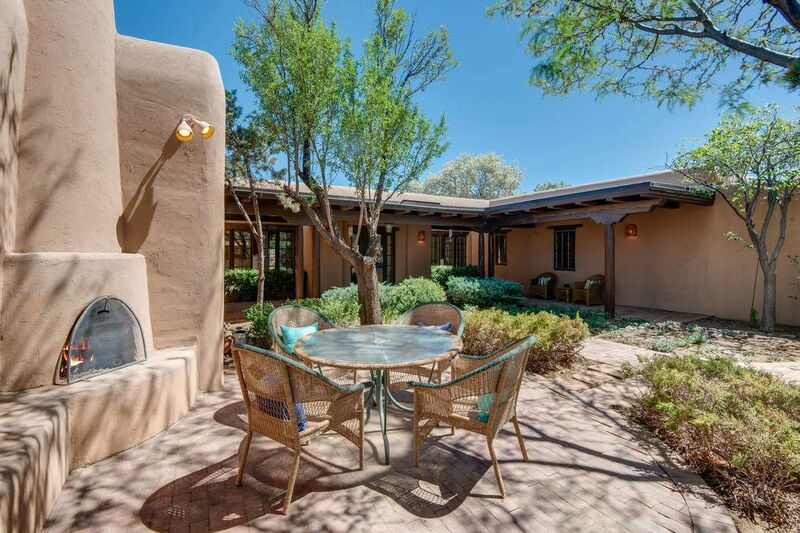 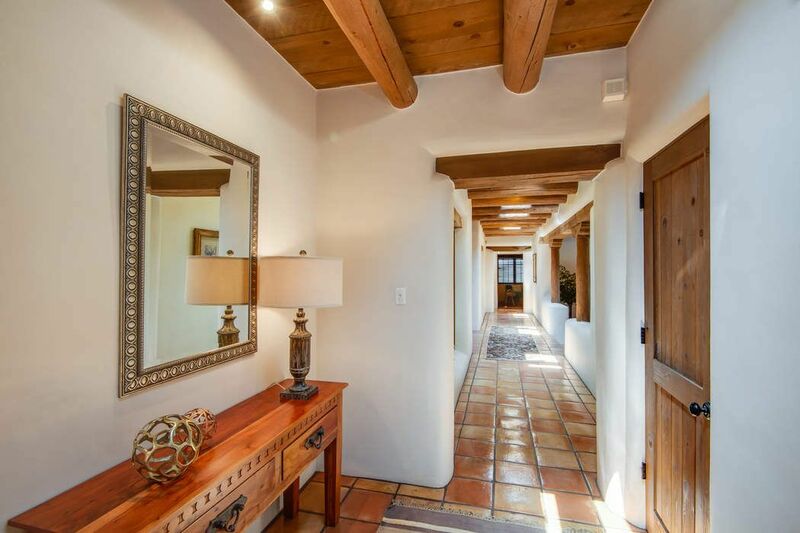 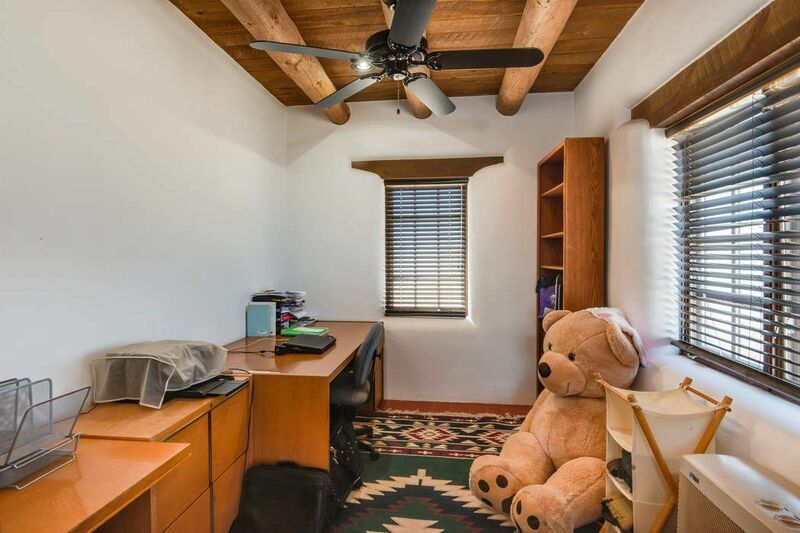 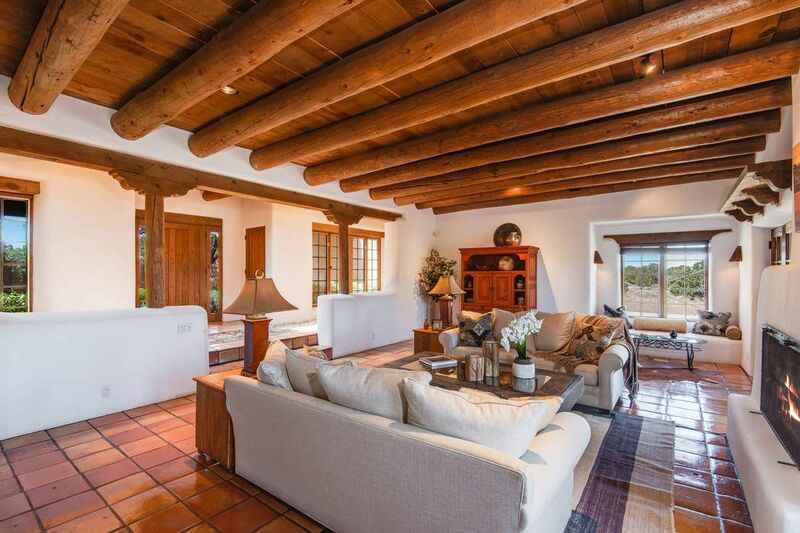 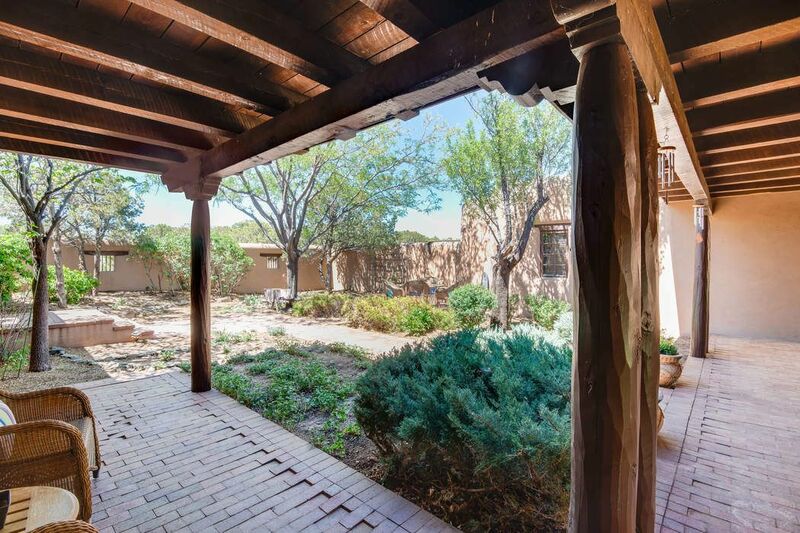 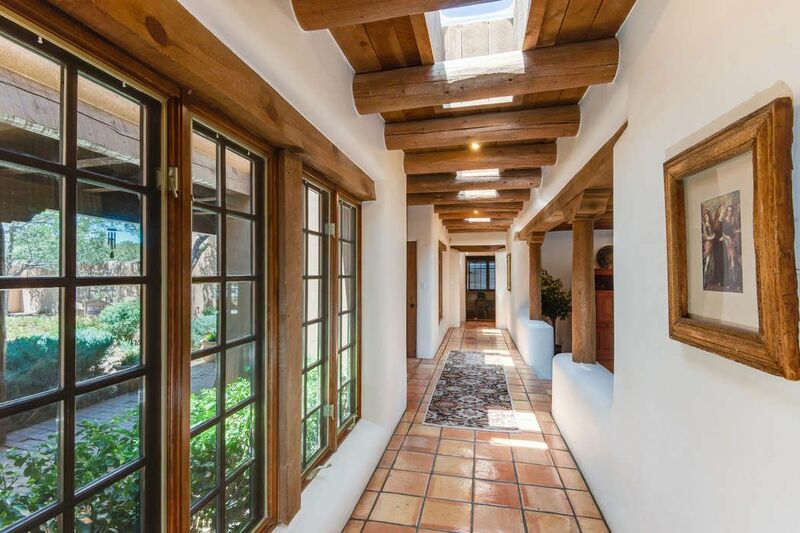 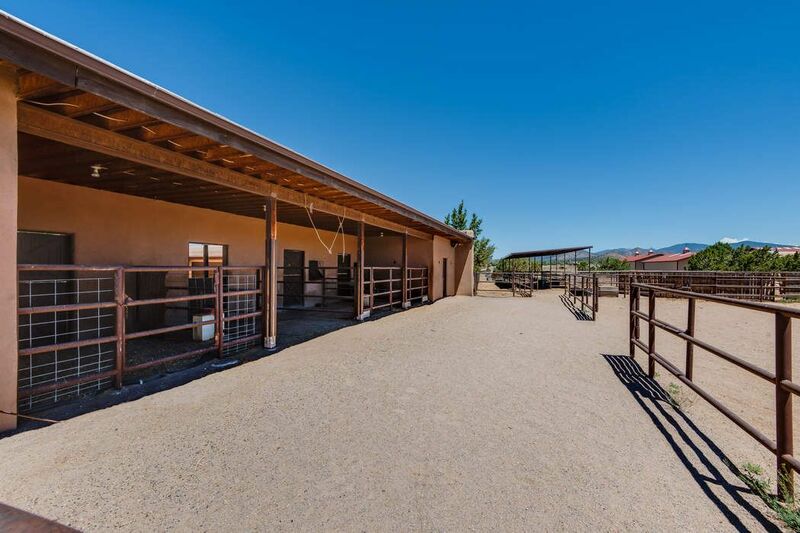 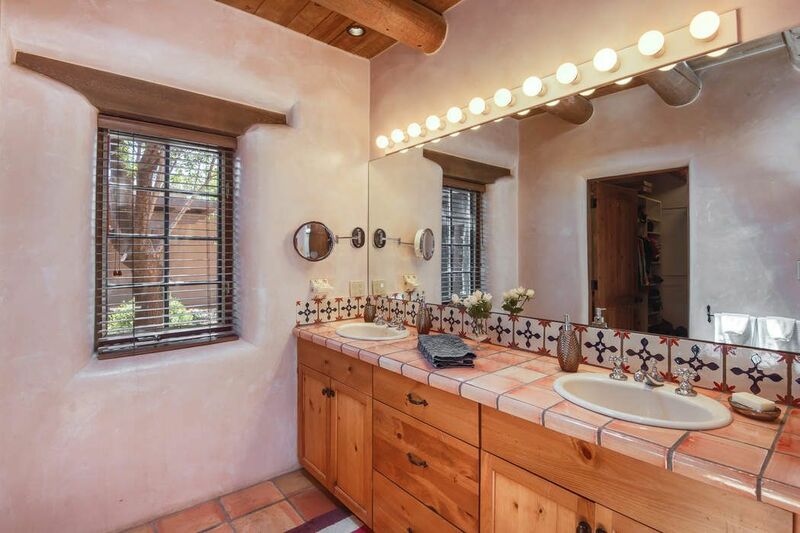 ft.
With authentic old-world Santa Fe styling and vigas throughout, this pueblo-style ranch home on one level has pumice-crete construction with the feel and look of adobe and significant equestrian facilities perfectly sited so that you have easy access and view of your horses. 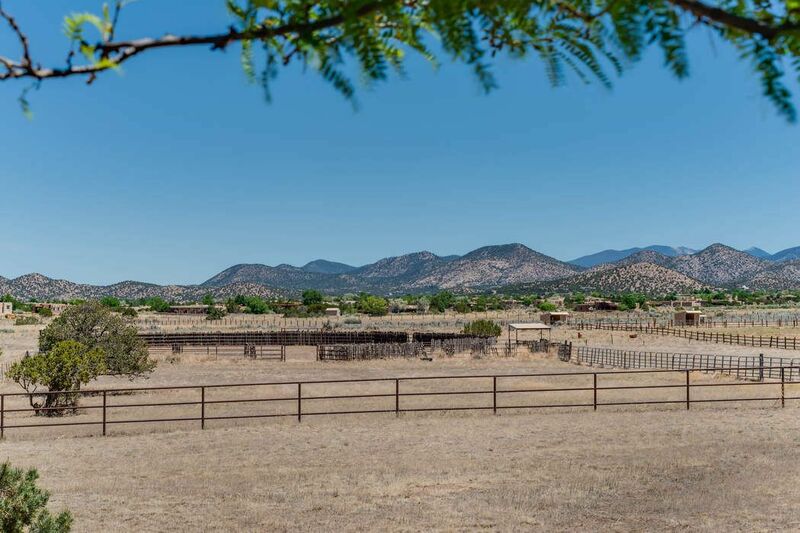 The offering includes two 10-acre separately deeded lots. 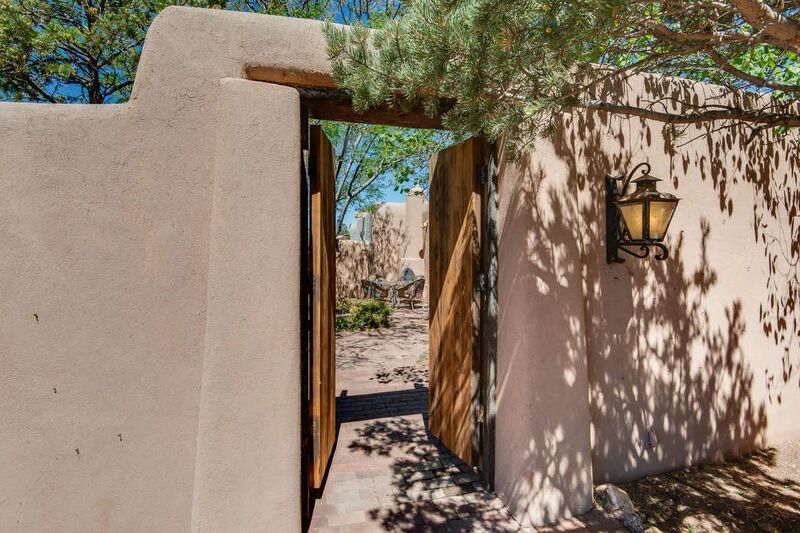 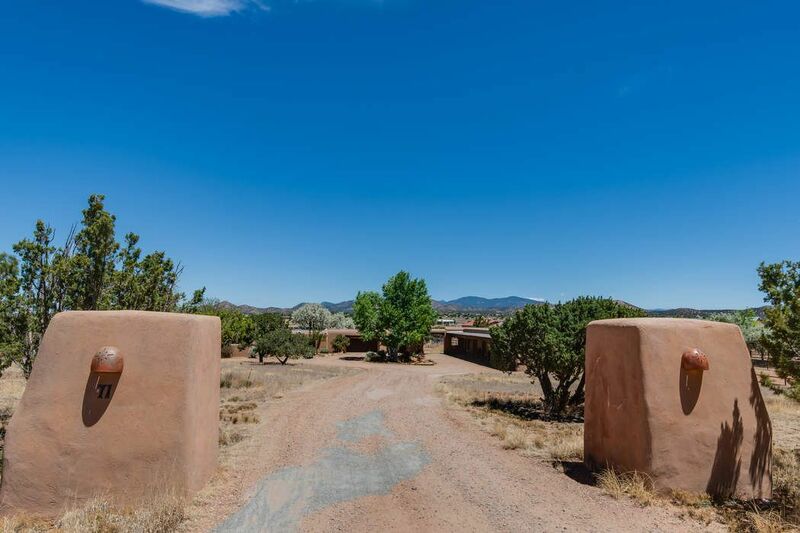 Enter through the walled and landscaped courtyard with kiva fireplace to the great room with grand fireplace and wonderful views of the Sangre de Cristo mountains. 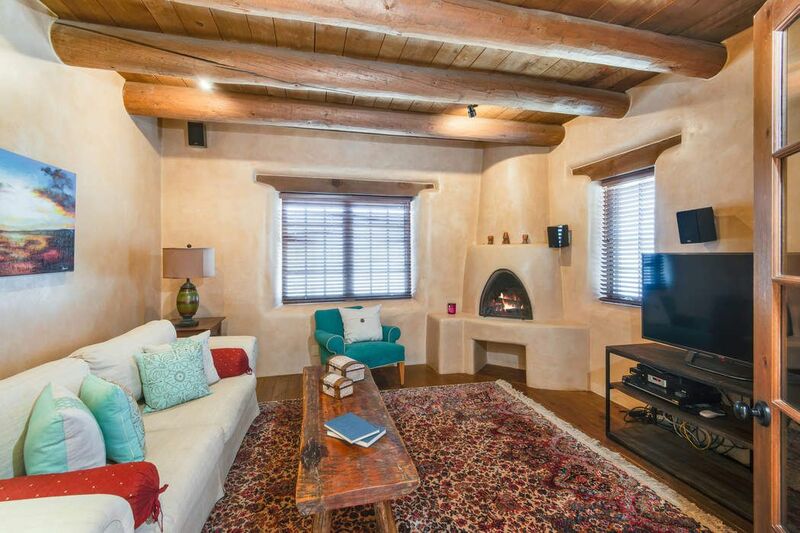 The adjoining formal dining room also includes a charming kiva fireplace. 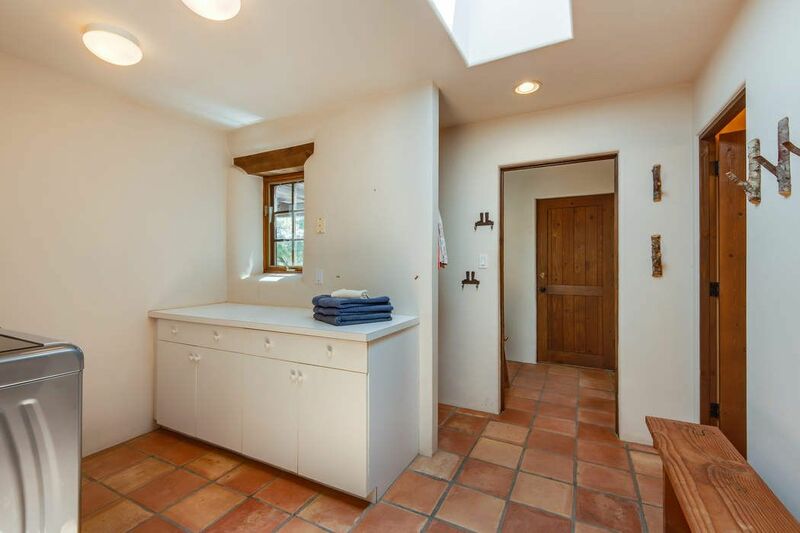 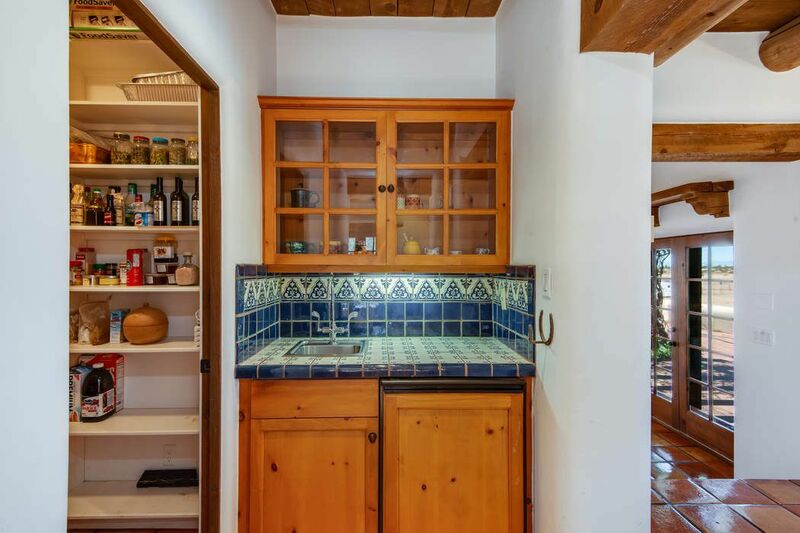 The French doors in the kitchen provide easy access to the equestrian facilities including 4-stall barn and tack room and multiple turn-outs. 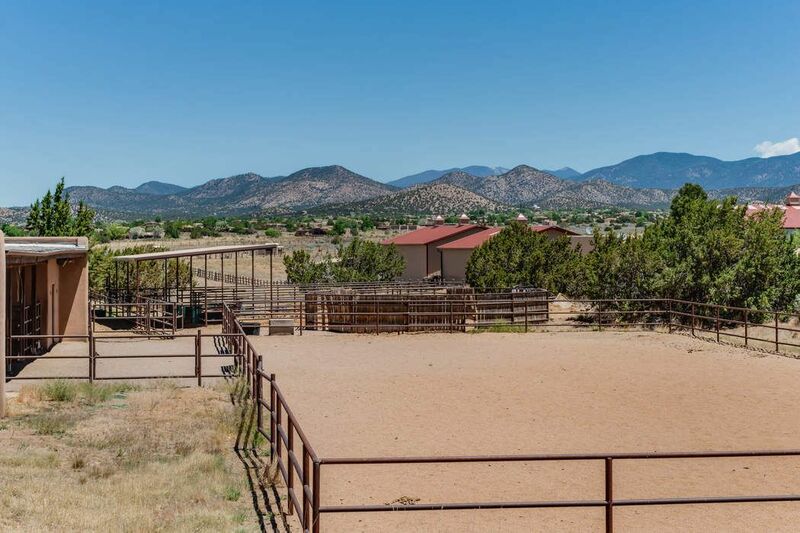 There is also a large arena/training area. 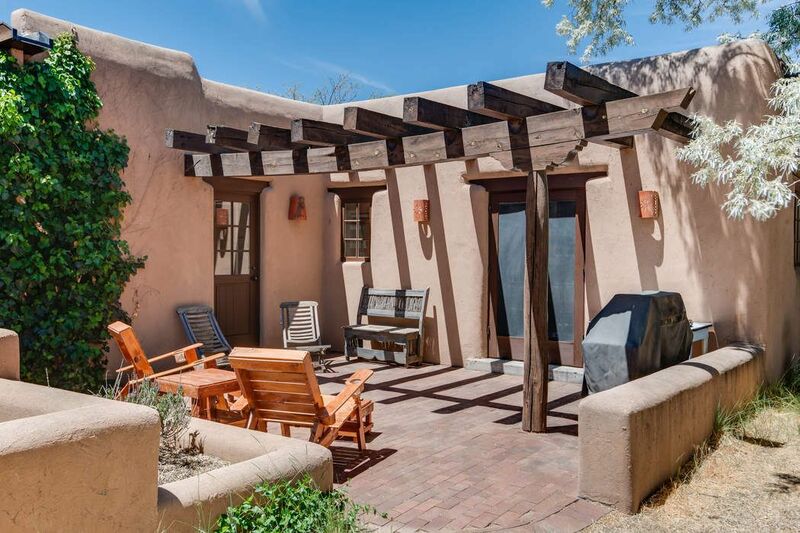 Multiple bricked outdoor patios offer an opportunity for outdoor dining and entertaining and places to relax and enjoy the New Mexico sun and mountain views. 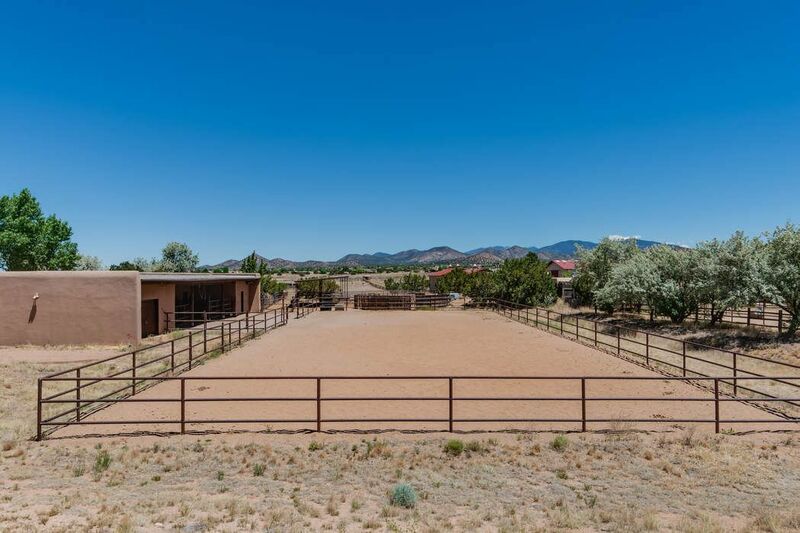 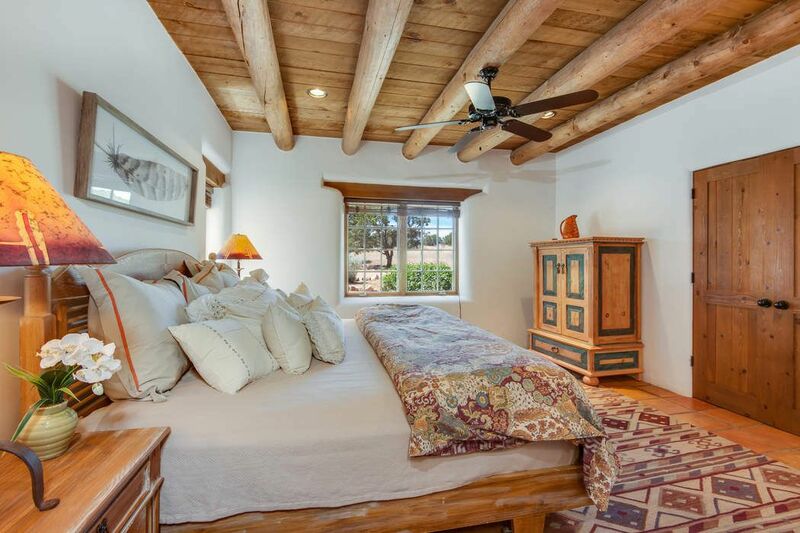 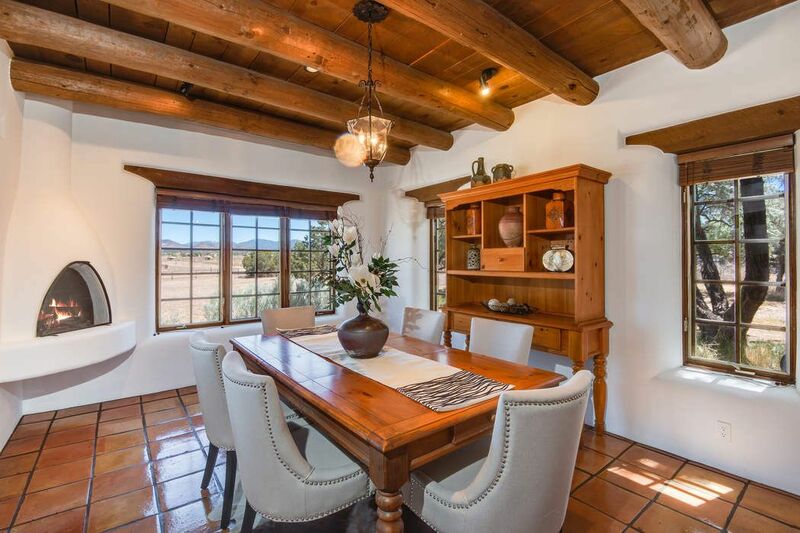 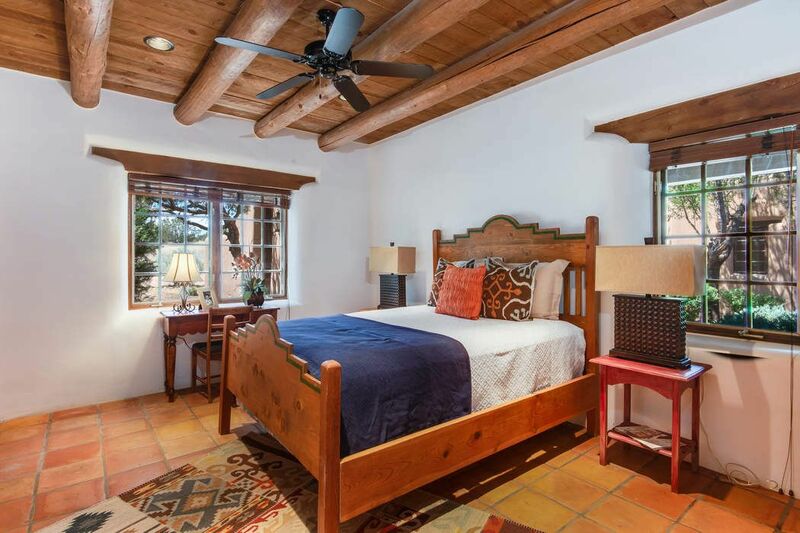 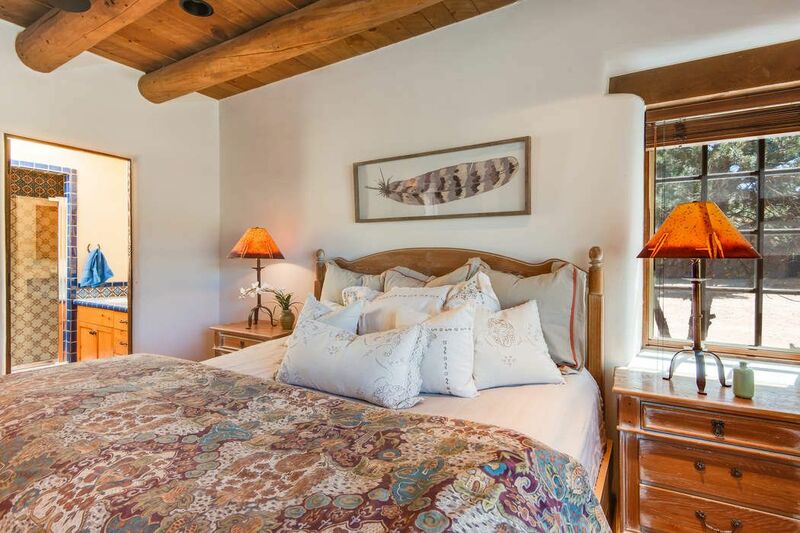 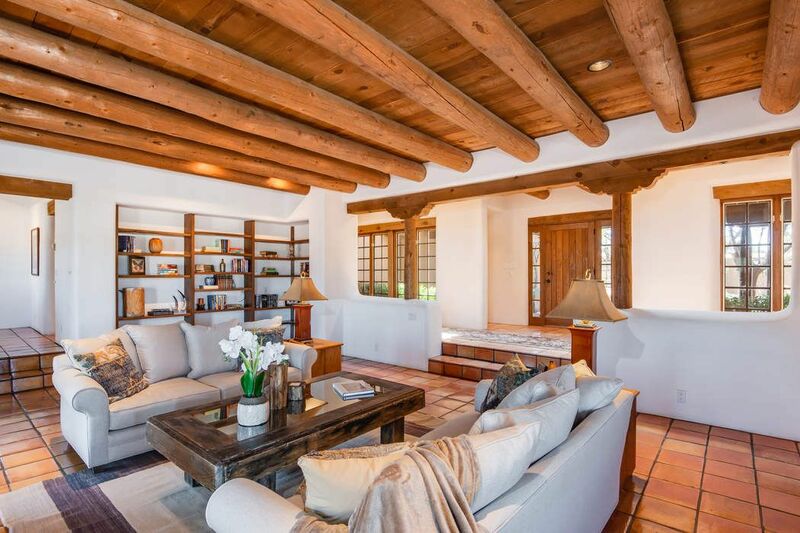 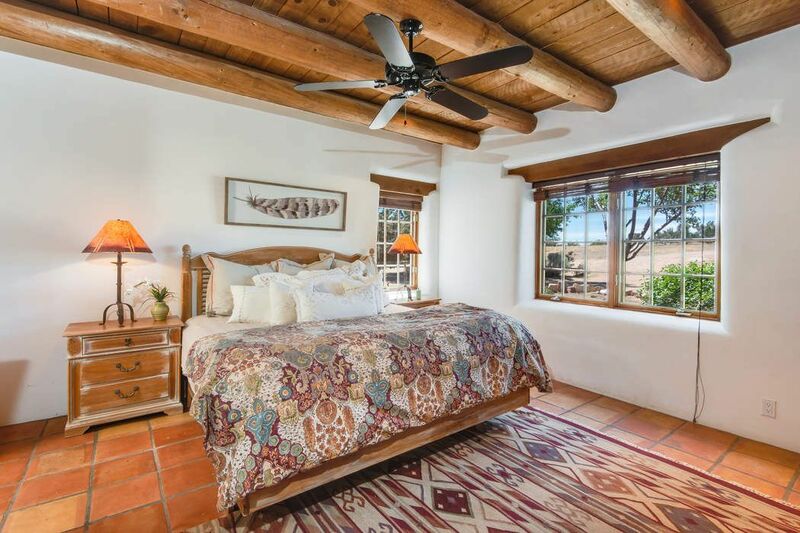 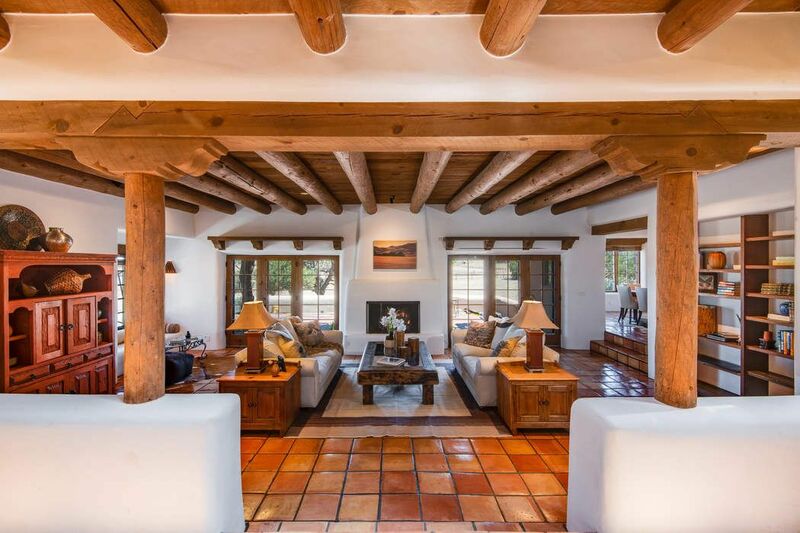 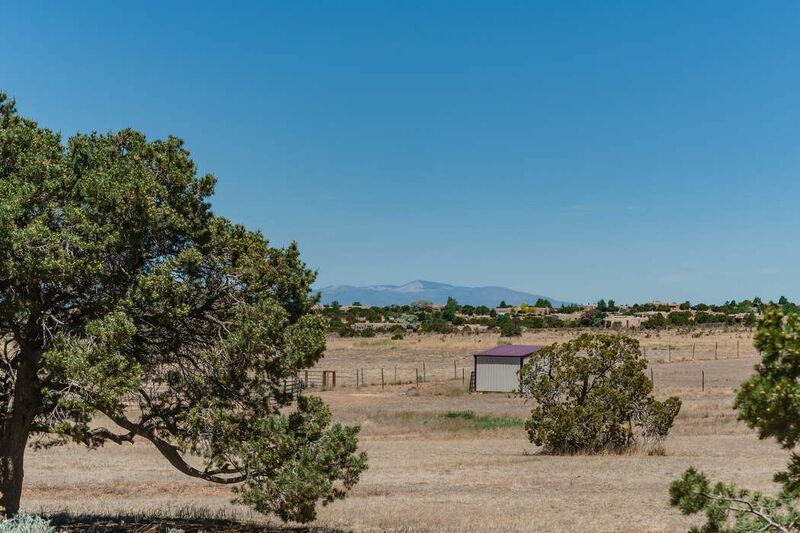 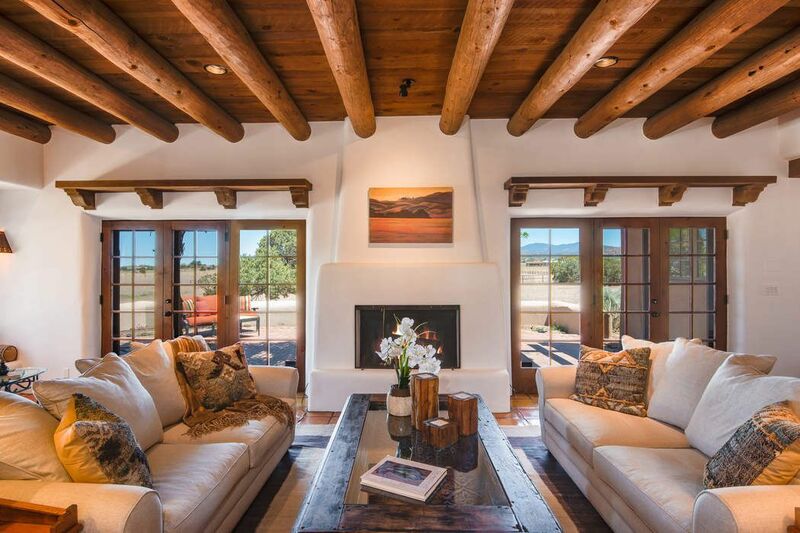 The property is located in the horse-friendly community of Los Caballos just outside Santa Fe with access to community riding trails. 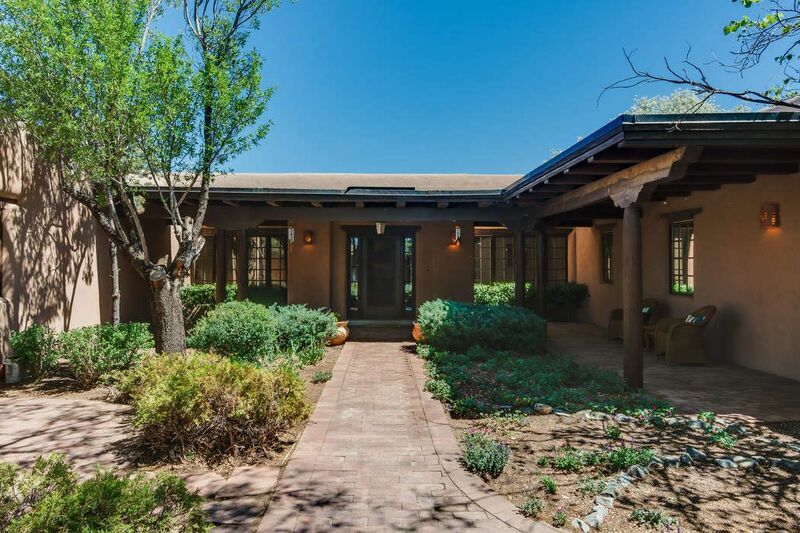 This beautiful home features a split floor plan with large master suite, walk-in closets, office and media room and in-floor radiant heat. 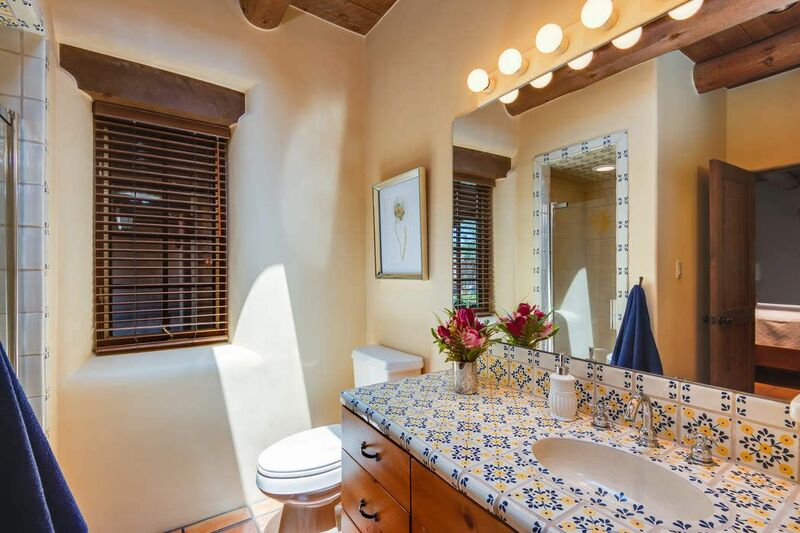 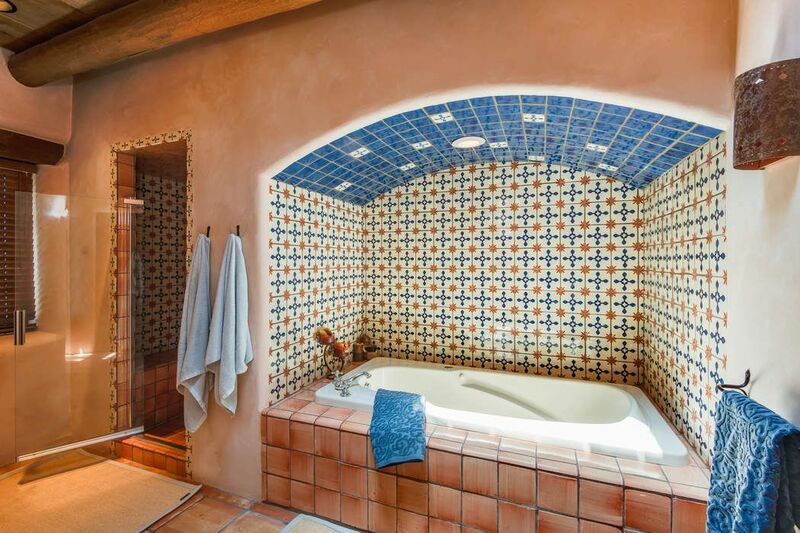 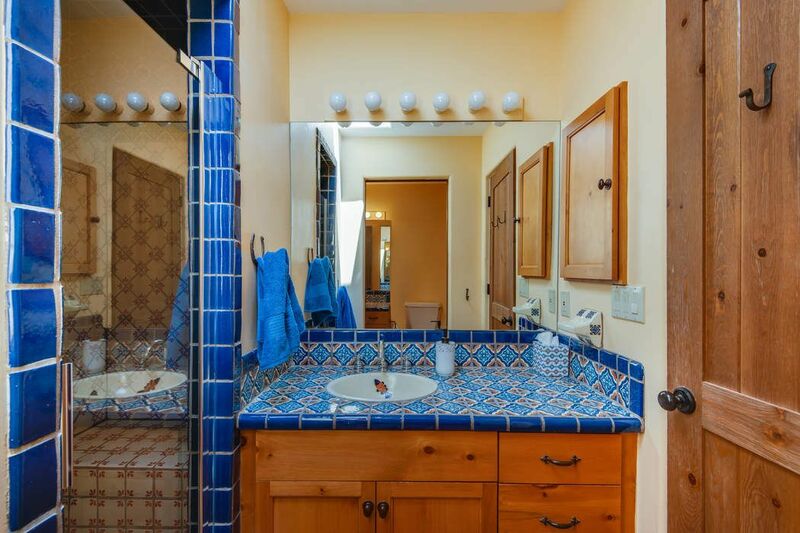 Saltillo tiles throughout add to the warmth and charm of this comfortable home. 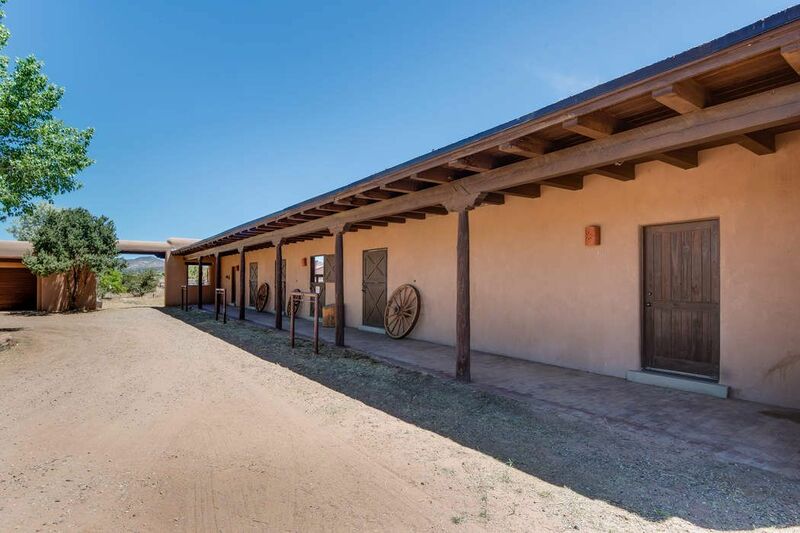 Attached direct-entry three car garage and laundry facilities. 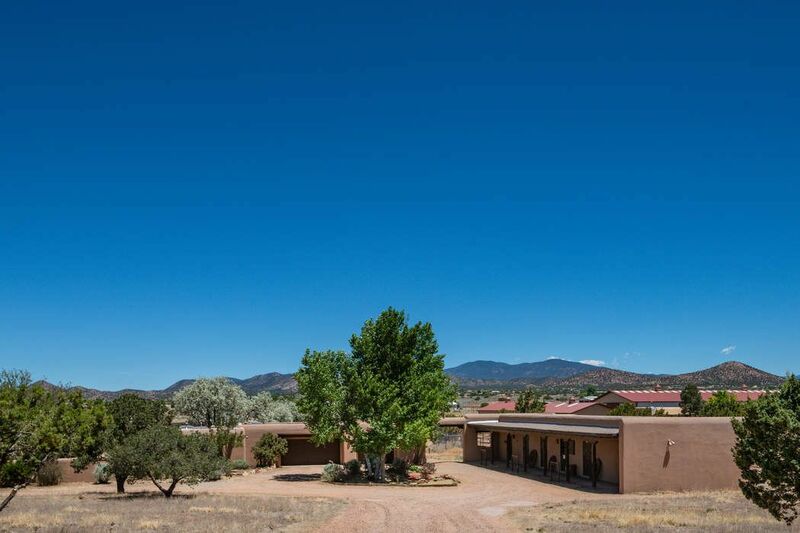 Conveniently located to the Eldorado School, Eldorado shopping, a community library and a senior citizens’center.